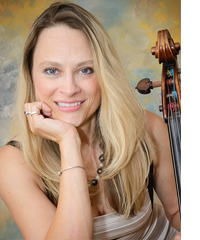 Cellist Charae Krueger is Principal Cellist for the Atlanta Opera Orchestra and the Atlanta Ballet Orchestra. 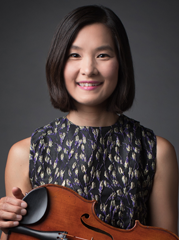 She is the Cello Artist-In-Residence at Kennesaw State University and performs with the Summit Piano Trio and KSU Faculty String Trio. Ms. Krueger enjoys chamber music and solo recital work and plays throughout the Southeastern U.S. She is a regular featured artist at The Highlands-Cashiers Chamber Music Festival in North Carolina, the Grand Teton Music Festival in Wyoming and at the North Georgia Chamber Music Festival. Her solo and chamber music recitals have been featured on NPR's Performance Today, WABE Radio Atlanta and WGBH Radio Boston. She also plays frequently with the Atlanta Symphony Orchestra. Ms. Krueger also enjoys recording studio work and has played on albums of Bruce Springsteen, Faith Hill and Natalie Cole. 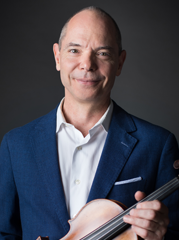 Recent concerts include performances with Cleveland Orchestra Concertmaster William Preucil and solo violinist Tim Fain at Highland-Cashiers Chamber Music Festival, performances at the North Georgia Chamber Music Festival, Emory Chamber Music Society of Atlanta with pianist William Ransom, performance with SO Percussion Ensemble, appearances with Sonic Generator, Atlanta Chamber Players, and Fringe concert series, as well as concerto performances with the DeKalb Symphony and Atlanta Community Orchestra, the KSU Orchestra. She has twice performed the entire Beethoven cycle of Cello Sonatas with pianist Robert Henry and has done a recital tour and accompanying live CD of the Southeastern US with pianist Stanley Yerlow. Ms. Krueger received her early cello training in Canada at the Regina Conservatory of Music. She went on to study at Brandon University and received her Bachelor of Music Performance degree from New England Conservatory in Boston. She also holds an Artist Diploma from the Longy School of Music in Cambridge MA. 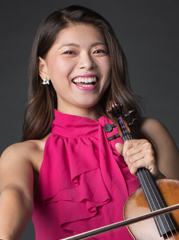 She continued her training during the summers at the Banff Centre in Canada and did quartet training with the Juilliard Quartet at the summer program at the Juilliard School. Ms. Krueger was also a participant in the New York String Orchestra Seminar under the direction of Alexander Schneider with concerts at Carnegie Hall.